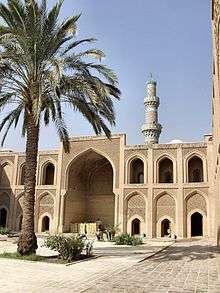 The Abbasid caliphate first centered its government in Kufa, but in 762 the caliph Al-Mansur founded the city of Baghdad, north of the Sasanian capital city of Ctesiphon. The choice of a capital so close to Persia proper reflected a growing reliance on Persian bureaucrats, most notably of the Barmakid family, to govern the territories conquered by Arab Muslims, as well as an increasing inclusion of non-Arab Muslims in the ummah. Despite this initial cooperation, the Abbasids of the late 8th century had alienated both Arab mawali and Iranian bureaucrats, and were forced to cede authority over Al-Andalus and Maghreb to the Umayyads, Morocco to the Idrisid dynasty, Ifriqiya to the Aghlabids, and Egypt to the Shi'ite Caliphate of the Fatimids. The political power of the caliphs largely ended with the rise of the Buyids and the Seljuq Turks. Although Abbasid leadership over the vast Islamic empire was gradually reduced to a ceremonial religious function, the dynasty retained control over its Mesopotamian demesne. The capital city of Baghdad became a center of science, culture, philosophy and invention during the Golden Age of Islam. Immediately after their victory, As-Saffah sent his forces to Central Asia, where his forces fought against Tang expansion during the Battle of Talas. Barmakids, who were instrumental in building Baghdad; introduced the world's first recorded paper mill in Baghdad, thus beginning a new era of intellectual rebirth in the Abbasid domain. As-Saffah focuses on putting down numerous rebellions in Syria and Mesopotamia. The Byzantines conduct raids during these early distractions. At the same time, the Abbasids faced challenges closer to home. Harun al-Rashid turned on the Barmakids, a Persian family that had grown significantly in power within the administration of the state and killed most of the family. During the same period, several factions began either to leave the empire for other lands or to take control of distant parts of the empire away from the Abbasids. 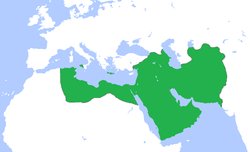 The reign of al-Rashid and his sons were considered to be the apex of the Abbasids. After Rashid's death, the empire was split by a civil war between the caliph al-Amin and his brother al-Ma'mun who had the support of Khorasan. 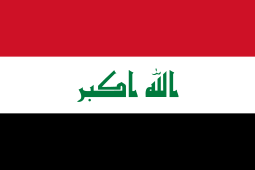 This war ended with a two-year siege of Baghdad and the eventual death of al-Amin in 813. Al-Ma'mun ruled for 20 years of relative calm interspersed with a rebellion supported by the Byzantines in Azerbaijan by the Khurramites. Al-Ma'mun was also responsible for the creation of an autonomous Khorasan, and continued repulsing of Byzantine forays. Al-Mu'tasim gained power in 833 and his rule marked the end of the strong caliphs. He strengthened his personal army with Turkish mercenaries and promptly restarted the war with the Byzantines. His military excursions were generally successful culminating with a resounding victory in the Sack of Amorium. 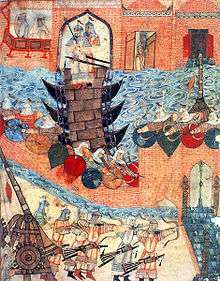 His attempt at seizing Constantinople failed when his fleet was destroyed by a storm. The Byzantines restarted the fighting by sacking Damietta in Egypt. Al-Mutawakkil responded by sending his troops into Anatolia again, sacking and marauding until they were eventually annihilated in 863. At the end of the eighth century the Abbasids found they could no longer keep a huge polity larger than that of Rome together from Baghdad. In 793 the Shi'ite dynasty of Idrisids set up a state from Fez in Morocco, while a family of governors under the Abbasids became increasingly independent until they founded the Aghlabid Emirate from the 830s. Al-Mu'tasim started the downward slide by utilizing non-Muslim mercenaries in his personal army. Also during this period officers started assassinating superiors with which they disagree, in particular the caliphs. By the 870s Egypt became autonomous under Ahmad ibn Tulun. In the East as well, governors decreased their ties to the center. The Saffarids of Herat and the Samanids of Bukhara had broken away from the 870s, cultivating a much more Persianate culture and statecraft. By this time only the central lands of Mesopotamia were under direct Abbasid control, with Palestine and the Hijaz often managed by the Tulunids. Byzantium, for its part, had begun to push Arab Muslims farther east in Anatolia. 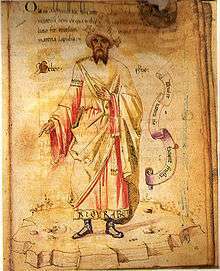 Despite the power of the Buyid amirs, the Abbasids retained a highly ritualized court in Baghdad, as described by the Buyid bureaucrat Hilal al-Sabi', and they retained a certain influence over Baghdad as well as religious life. As Buyid power waned after the death of Baha' al-Daula, the caliphate was able to regain some measure of strength. 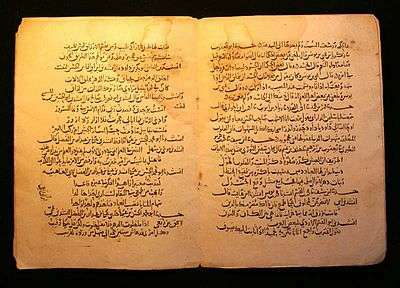 The caliph al-Qadir, for example, led the ideological struggle against the Shia with writings such as the Baghdad Manifesto. The caliphs kept order in Baghdad itself, attempting to prevent the outbreak of fitnas in the capital, often contending with the ayyarun. With the Buyid dynasty on the wane, a vacuum was created that was eventually filled by the dynasty of Oghuz Turks known as the Seljuqs. By 1055, the Seljuqs had wrested control from the Buyids and Abbasids, and took any remaining temporal power. When the amir and former slave Basasiri took up the Shia Fatimid banner in Baghdad in 1058, the caliph al-Qa'im was unable to defeat him without outside help. Toghril Beg, the Seljuq sultan, restored Baghdad to Sunni rule and took Iraq for his dynasty. Once again, the Abbasids were forced to deal with a military power that they could not match, though the Abbasid caliph remained the titular head of the Islamic community. The succeeding sultans Alp Arslan and Malikshah, as well as their vizier Nizam al-Mulk, took up residence in Persia, but held power over the Abbasids in Baghdad. When the dynasty began to weaken in the 12th century, the Abbasids gained greater independence once again. As the power shifted from the Umayyads to the Abbasids, the architecture styles changed also. The Christian styles evolved into a style based more on the Sassanian empire utilizing mud bricks and baked bricks with carved stucco. Another major developments was the creation or vast enlargement of cities as they were turned into the capital of the empire. First, starting with the creation of Baghdad, starting in 762, which was planned as a walled city with a mosque and palace in the center. The walls were to have four gates to exit the city. Al-Mansur, who was responsible for the creation of Baghdad, also planned the city of Raqqa, along the Euphrates. Finally, in 836, al-Mu'tasim moved the capital to a new site that he created along the Tigris, called Samarra. This city saw 60 years of work, with race-courses and game preserves to add to the atmosphere. Due to the dry remote nature of the environment, some of the palaces built in this era, were isolated havens. Al-Ukhaidir Fortress is a fine example of this type of building which has stables, living quarters, and a mosque, all surrounding inner courtyards. Other mosques of this era, such as the Mosque of Ibn Tulun, in Cairo, and the Great Mosque of Kairouan in Tunisia while ultimately built during the Umayyad dynasty, it was substantially renovated in the 9th century. This renovation was so extensive as to ostensibly be a rebuild, was in the furthest reaches of the Muslim world, in an area that the Aghlabids controlled; however the styles utilized were mainly of the Abbasids. Mesopotamia only has one surviving mausoleum from this era, in Samarra. This octagonal dome is the final resting place of al-Muntasir. Other architectural innovations and styles were few, such as the four-centered arch, and a dome erected on squinches. Unfortunately, much was lost due to the ephemeral nature of the stucco and luster tiles. 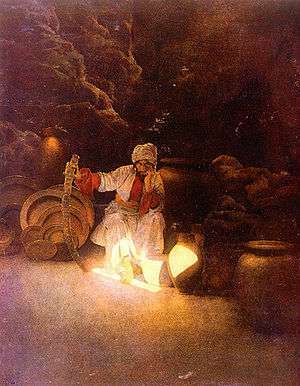 Egypt being a center of the textile industry was part of the Abbasid cultural advancement. Copts were employed in the textile industry and produced linens and silks. Tinnis was famous for its factories and had over 5,000 looms. Kasab, a fine linen for turbans and badana for garments of the upper class to name a couple. In a town named Tuna near Tinnis, was made the kiswah for the kaaba in Mecca. Fine silk was also made in Dabik, and Damietta. Of particular interest is the stamped and inscribed fabrics. Not only did they utilize inks but also liquid gold. Some of the finer pieces were colored in such a manner as to require six separate stamps to achieve the proper design and color. This technology spread to Europe eventually. Historical evidence suggests that many of these practices originated not in the culture of the Early Islamic dynasties centered in Mecca and Medina, rather, they were learned from the conquered empires, the declining Sassanian and Persian societies. 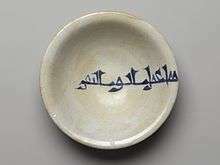 It is argued that many of the stereotypes and dogmas about Islamic gender roles date from the Abbasid period. ↑ "ABŪ MOSLEM ḴORĀSĀNĪ – Encyclopaedia Iranica". www.iranicaonline.org. Retrieved 2015-11-20. 1 2 Chisholm, Hugh, ed. (1911). "Abbasids". Encyclopædia Britannica. 1 (11th ed.). Cambridge University Press. p. 10. 1 2 Grant & Clute 1999, p. 51. Warren, John (2005). "War and the Cultural Heritage of Iraq: A Sadly Mismanaged Affair". Third World Quarterly. 26 (4-5): 815–30. doi:10.1080/01436590500128048. "Abbassides, The". New International Encyclopedia. 1905.